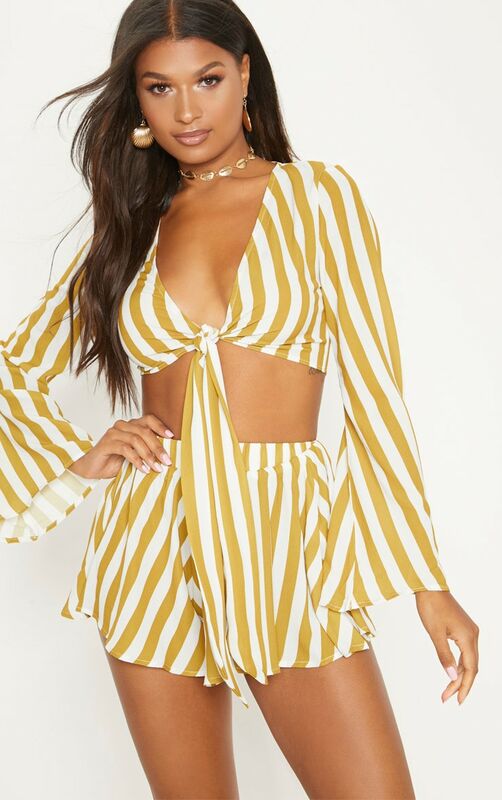 This cute dreamy co-ord is everything we are loving this season. 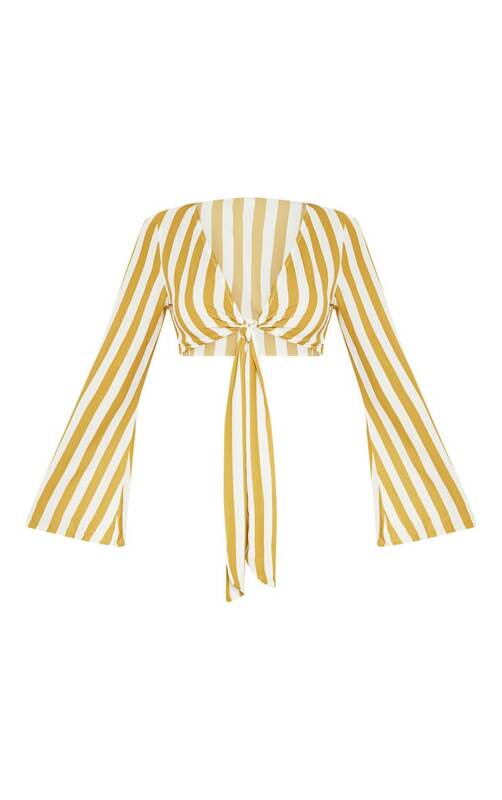 Featuring a crepe material with a mustard and white stripe design, flute sleeves and a tie front fastening. Style this blouse with the matching shorts and flatform sandals complete the look with a straw bag.